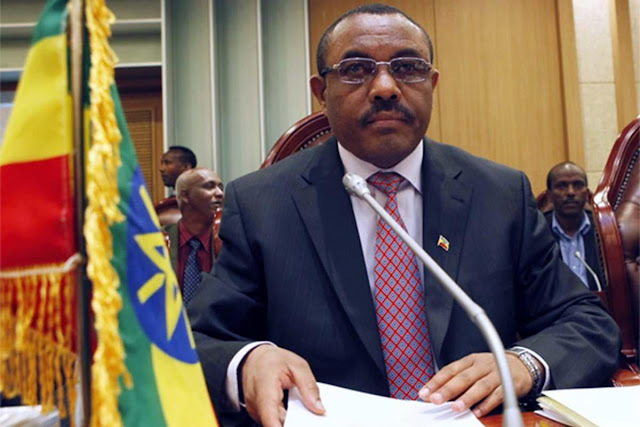 Egyptian groups are supporting banned Ethiopian opposition groups, Ethiopian Prime Minister Hailemariam Desalegn said yesterday. Speaking before parliament a day before the formation of new government, Desalegn said that Addia Ababa has made “important contacts” with Cairo and demanded clarifications about the involvement of some Egyptian bodies in supporting banned opposition groups in the country. He said that his country has formally asked the Egyptian government to stop those bodies’ hostile activities, adding that Egypt allegedly supports terrorist groups. Desalegn explained that Cairo has informed his country that it has no control over these bodies. It was not possible to get immediate comment from the Egyptian foreign ministry about the Ethiopian prime minister’s statement. On 10 October last year, Ethiopian President Mulatu Teshome accused Egyptian “elements” of supporting armed opposition groups in his country with the aim of preventing Ethiopia from building the Renaissance Dam which Cairo fears could impact its share of the Nile water. On the same day, former Ethiopian government spokesman Getachew Reda said his country had evidence of the involvement of Egyptian elements in providing financial support and training to terrorist groups with the aim of undermining the country’s stability, without revealing the nature of this evidence. Egypt has repeatedly denied accusations made by Ethiopia, saying it respects Ethiopia’s sovereignty and does not intervene in its internal affairs, noting that it is in contact with Addis Ababa to stop attempts to harm relations between the two countries.